Have you ever wanted to know what’s happening in the neighborhood? That’s why we created the New Chauncey News Flash. 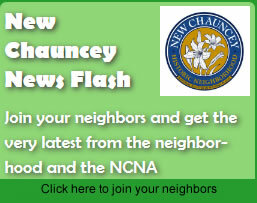 Updated info on the events and activities that happen in and around New Chauncey.